A game with unlimited possibilities. 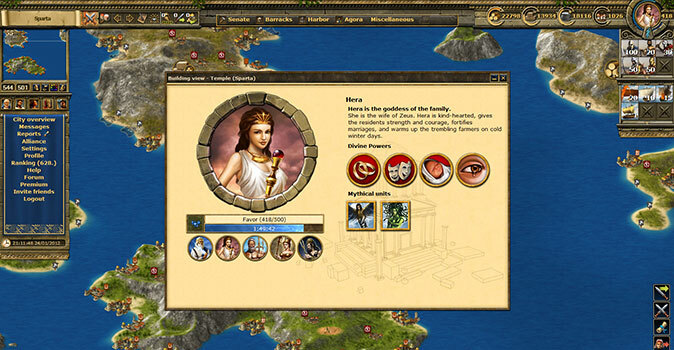 In the free-to-play strategy game Grepolis, you’re strategic knowhow is really put to the test. Only you can decide how you want to approach the game. 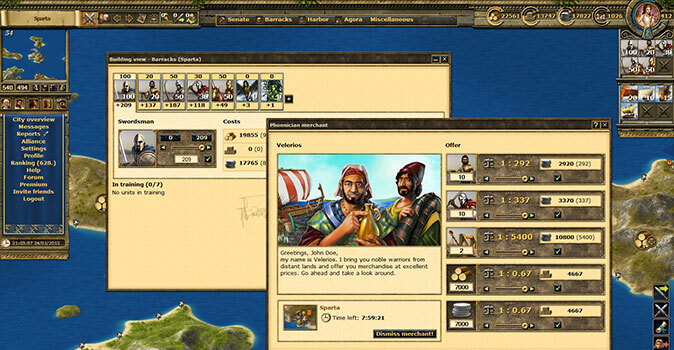 Asides from the pleasant and authentic game atmosphere, the game also delivers a countless number of features providing a unique game experience. We have put together and summarised the best of these. In Grepolis, you really have all paths open to you in regards to reaching your goal and expanding your empire. You can either build up your empire with new buildings and thus increasing your population or you could master the oceans and settle on up to 20,000 other islands. There’s also no limitations regarding your interactions with other players. For those who like things a bit heated, you can attack your opponents, and for those who are a bit more diplomatic, you can join forces and create powerful alliances. Want to know another advantage of playing a game sent in Ancient times? The Greek Gods of course! There are a lot more Gods on offer in the game than just Zeus, Hades and Poseidon. You can pay homage to these Gods, granting you support and protection. You need to pay attention though to the different Gods and their varying strengths. For this reason, a strategic mind is once again required. Battle is one of the main focuses in Grepolis. Where would the fun be if everyone annexed themselves on their own islands? In this game you can build up and utilise a fleet of ships as well as foot soldiers. 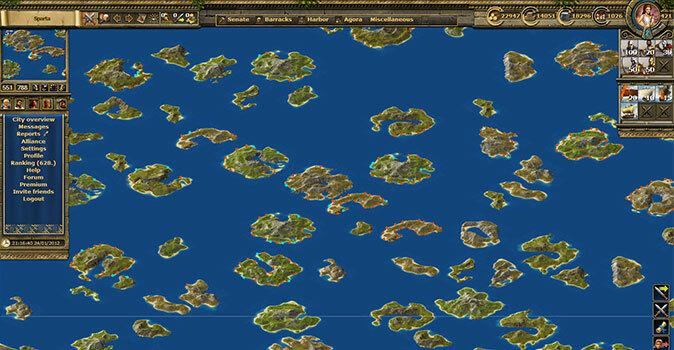 Fighting can take place anywhere in Grepolis, whether on the various islands or at sea. Therefore, it’s definitely important to make sure both aspects of your army are well equipped, ready to defend against increasing onslaughts from other players. This is where having an alliance really helps, as they can be called to help you in battle. For this reason you really should take the opportunity to form an alliance with other players so that you’re not left vulnerable. What’s left for us to say? 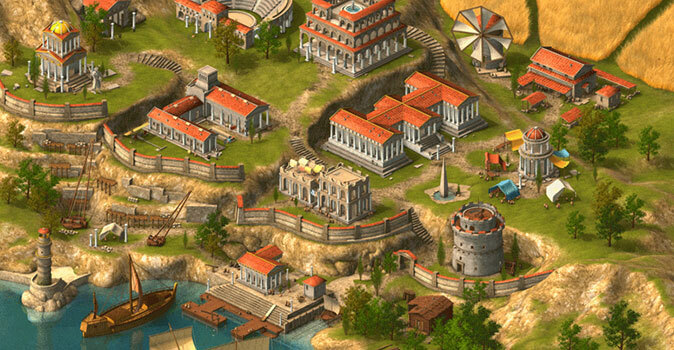 The free-to-play browser strategy game Grepolis particularly impressed us with its limitless freedom and ability to raise the heartbeat of each and every strategy game fan. Asides from the countless features, what we found most compelling was the short waiting times to complete quests and an easy and comprehensive learning curve. 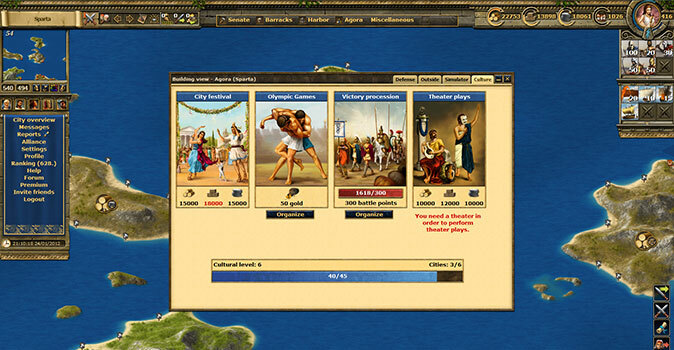 All this, coupled with the sheer diversity of the game and distinctive Ancient Greek atmosphere, make Grepolis one of the most unique games of its genre. This is definitely a game you need to try out!